I have been an avid reader since youth, therefore I have always loved to read books before they are adapted onto the big screen. I thoroughly enjoy seeing where my imagination takes the images of the text I read, and then comparing these images with what the director and writers decide to feature in the film. Therefore, I have chosen to create a brand new segment called “Book To Film Adaptation”, which will feature my opinion on how well the main plot lines of specific books were reconstructed into the medium of film. 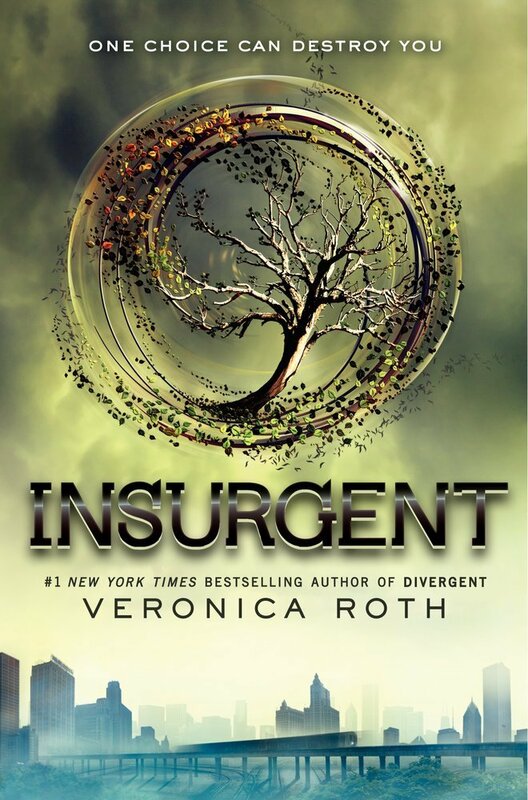 The Divergent Series: Insurgent is the second adventure science fiction film adapted from the dystopian novel series with the same name written by Veronica Roth. 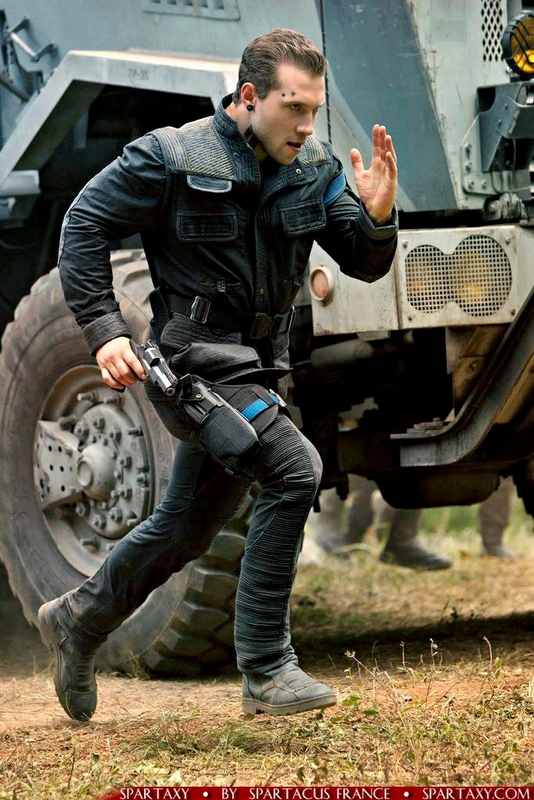 The film was directed by Robert Schwentke and starred several recurring characters from the first Divergent film with a few important additions. Following the events of Divergent, a civil war is on the brink between factions regarding their ideologies, the hostile takeover by Jeanine, and how they wish to proceed towards the future. 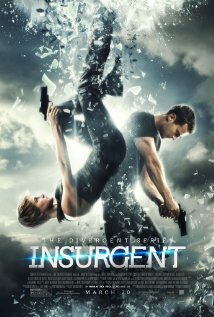 The film begins with Eric (Jai Courtney) and a group of Dauntless soldiers that have chosen Jeanine’s (Kate Winslet) side after the attack on Abnegation. Upon Jeanine’s request, they are searching through Abnegation houses for a box with all faction symbols on the outside that contains important data from the city’s founders. 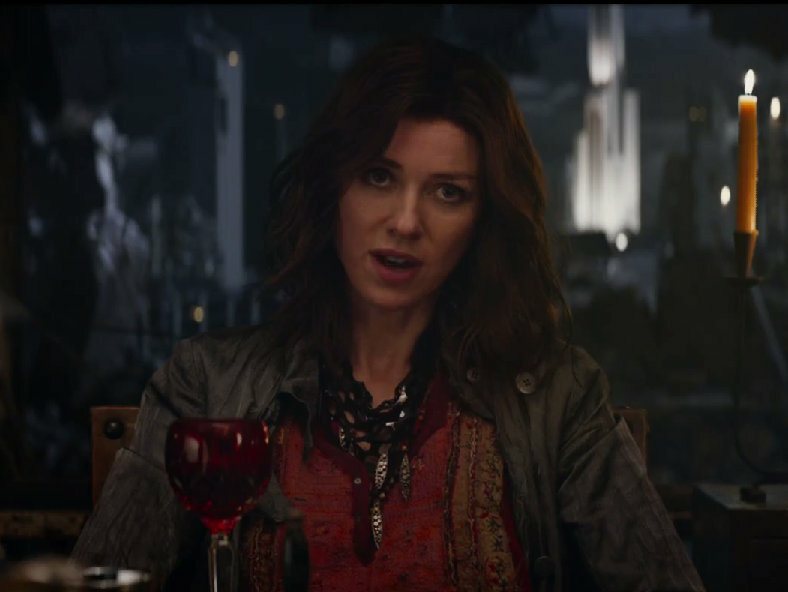 Jeanine states that this box is key to ending their “Divergence problem”, however it can only be opened by a very strong Divergent which is why she has ordered the capture of all Divergents. The film then shifts location to Amity where Tris (Shailene Woodley), Tobias “Four” Eaton (Theo James), Caleb (Ansel Elgort), Peter (Miles Teller), and Marcus (Ray Stevenson) have taken refuge after fleeing from Dauntless. After Eric storms Amity with his loyal Dauntless, Tris, Four, and Caleb board a train to escape the attack. 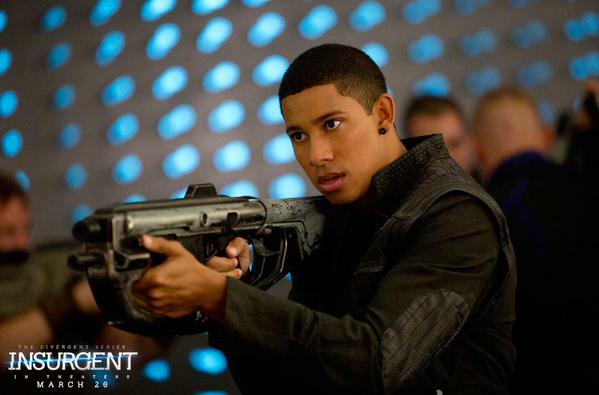 However, they have a tussle with the Factionless and Four has to state his name of Tobias Eaton in order for the Factionless to agree to take him to their leader … his mother, whom was assumed to be dead, Evelyn Eaton. I’m going to stop there, so I don’t give the rest of the film away for those who still haven’t seen it. If you have seen the film and want a full book to film comparison, check out the list below! I have just given a brief overview of what occurred in the film to intrigue those who may not have seen it yet. However, this next section is for those who have seen the film and have read the book that wish for more of an in-depth analysis of the film adaptation. One major item that was left out in the film was Tris’s PTSD in regards to killing Will during the Dauntless attack on Abnegation in the first film. A recurring effect of her PTSD throughout the book was her inability to pick up a gun. This was extremely important because it increased the tension between Tris and Four, as she constantly threw herself into dangerous situations with no weapon to protect herself. In the film, when Tris and Four get to Candor they are told that they must go to Erudite for trial. 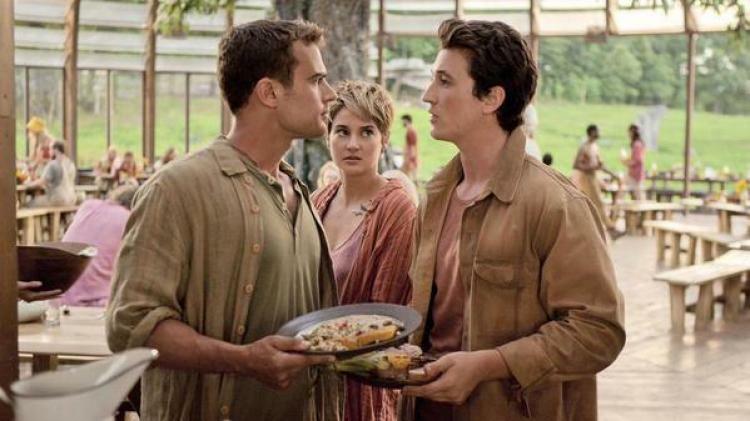 Four is the one that states they should have a trial at Candor under the truth serum. However, in the book they had no choice in the matter as they were arrested upon arrival and instantly put under the truth serum. Also, in the film Tris had to emotionally tell everyone that she killed Will, but in the book she was able to control the truth serum and decided to include that she shot Will. In the book, Jeanine had already seen the video from the founders and had chosen to contain it. There was no box plotline in the novel what so ever, also Tris was not 100% Divergent she only had the aptitude for Dauntless, Amity, and Erudite. 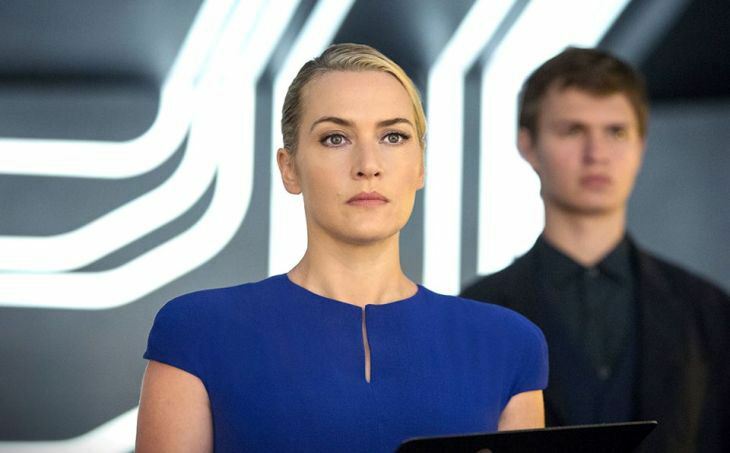 In the book, Jeanine didn’t need to open a special box, she only wanted to know more about the Divergent’s minds in order to come up with a serum that could force any Divergent under her control during a simulation! In the book Tris saves Hector when Jeanine tries to force Dauntless to commit suicide and then she gives herself up to Jeanine. I like the change in the film that Tris actually saves Christina instead of Hector and when she arrives to Erudite she is body scanned so they know exactly when she arrives! However, I definitely felt more triumphant reading the book’s version of what happened once she arrived at Erudite. 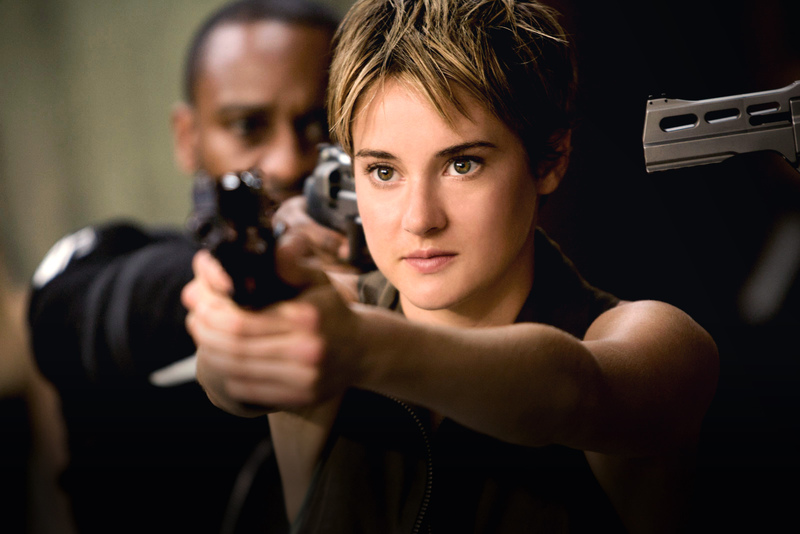 Instead of being used to unlock a special box, Tris was actually tortured by Jeanine during simulations. But, one of my favourite parts was when Tris broke Jeanine after defeating another one of her simulations. It was an excellent part of the book and made Peter’s choice to save her much more relevant as she was to be executed. 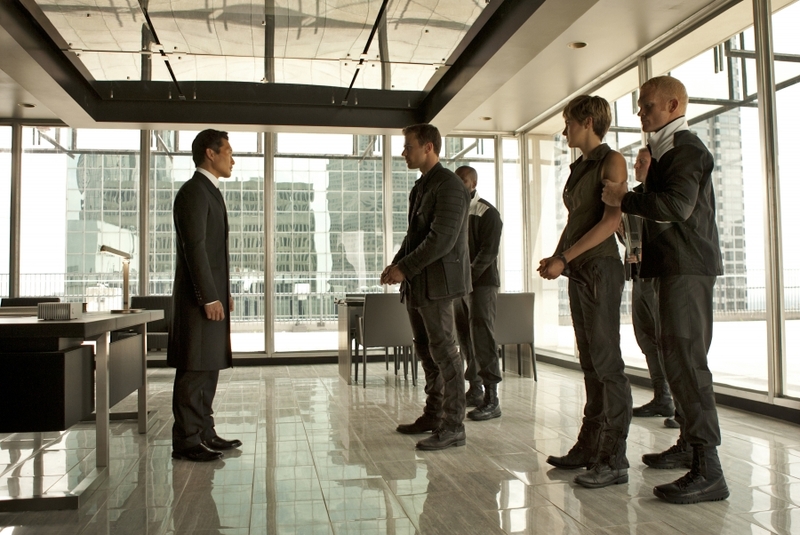 In the book, Tris teams up with Marcus, Christina, and a few Erudite to break into Erudite headquarters. This is big because she is lying to Tobias when she said she would stay home. They finally make it all the way to Jeanine’s office and after all her effort Tori is there and ends up killing Jeanine before she can uncover the founders’ video. But, after Tris confesses to Four what happened he ends up saving the day by forcing Caleb to unlock it, and then they unveil the video to everyone and the book ends in chaos. In the film, the founders’ video is finally “unlocked” by Tris and is then shown throughout the city. The film ends with all members of society walking towards the gate to see what is on the outside and Evelyn ends up killing Jeanine. This change in plotline is extreme important because it definitely will change the storyline of the next film. It will be interesting to see what path is taken and which pieces of Allegiant are included on the big screen. Lastly, I would just like to take a moment to say that even though Director Robert Schwentke chose to divert from the book, the film was still exciting to watch and had me in tears during a few heartbreaking moments. 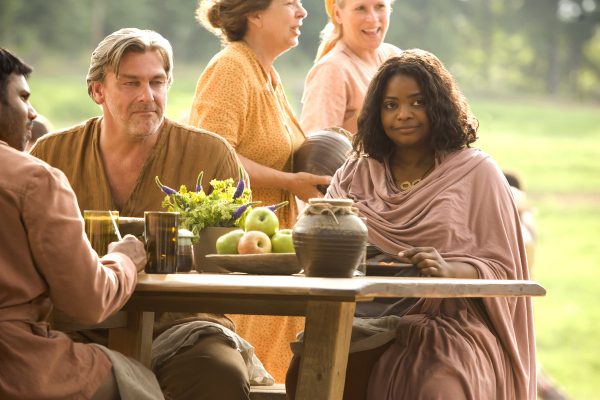 Also, I am thoroughly impressed with the Casting Director who chose Naomi Watts as Evelyn, Octavia Spencer as Johanna, Daniel Kim as Jack Kang, Rosa Salazer as Lynn, and Keiynan Lonsdale as Uriah. Bonus: I hope you all enjoyed this new segment, as usual I wanted to include a fun video interview of the actors behind these beloved characters. Check out the link below for a true fangirl style interview of Shailene Woodley, Theo James, Miles Teller, and Ansel Elgort.